Tiffin’s Regional team has smashed the second half of the season undefeated to place third in the league. Tiffin Head Coach Lou said she was particularly proud of the girls’ performance, their incredible tenacity and hard work, and was looking forward to an even better 2018/19. The team took a couple of losses in the first half of the season, but learned their lessons and finished the second half of the season stronger than ever. Tiffin is recruiting now to bolster the squad for next season, keen to finish top of the league and secure promotion for 2018/19. Email welcometotiffin@gmail.com if you think you have what it takes to be a part of the team! What a fortnight Netball in England! We’re all exhausted from the early starts last week! Just before the team took off to Sydney, England Netball came down to join us in Twickenham to see what we were up to! Elaine (Coach/Player/Chief) and Nicky (Regional Captain/Personal Trainer extraordinaire) took us through our 1st weights session and here is what Elaine had to say about the experience. “Along with the coaches, Nicky and I wanted to have a really structured pre-season to ensure we all hit the season in peak condition. 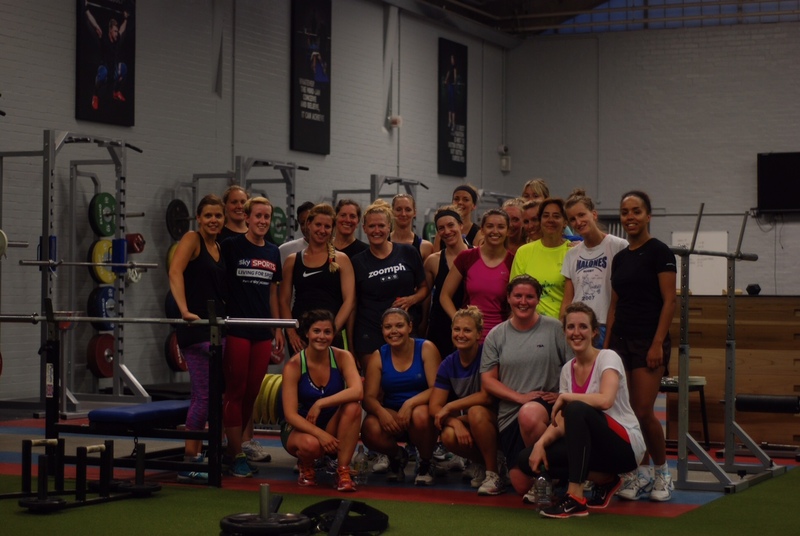 Held at world-class facility at St Mary’s University, our aim was to ensure that everyone became familiar with using free weights as this should form part of our training programmes outside of netball. Everyone loved the session and we all got a lot out of it, the weights were fun, and it was even followed by quick, high-intensity circuits at the end – there’s no stopping us! This training will complement the skills based and tactical training through the season that our wonderful coaches put together and we all look forward to a great season ahead. Keep your eye out in England Netball mag for the official article. Go Tiffs!